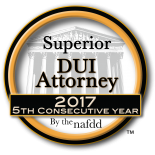 Probation Violation Fort Collins | Defense Lawyer CO | Criminal Attorney 80521 - Roselle & Breitigam, P.C. Probation is fragile. You have many rules to strictly obey. Probation officers care about you, but they must report violations to your judge. If you are facing revocation of your probation in Colorado because of a potential probation violation, you are fighting to protect your freedom and your future. Don’t give up or be hopeless. You need effective, intelligent, and respected legal defense. At Roselle & Breitigam, P.C., in Fort Collins, we have the experience and knowledge to protect you. Our lawyers are both former prosecutors, meaning they know how the prosecutors handling your case think. They are well-known by judges and prosecutors for being fierce advocates for their clients. They are ready to fight for you. Many people facing the loss of probation think that nothing can be done. That simply isn’t the truth. There are many possibilities to keep you on probation, but you must act quickly to protect your rights. Probation violations are handled differently than other criminal charges, and the timeline for challenging the charges is much shorter. As experienced former District Attorneys and Criminal Attorneys, we know the process and expectations the Judge will be looking for. We will make sure that your rights were not violated at any point in the process. We will then strive to show why you deserve to continue your probation rather than facing fines or jail time. Call 970-237-5702 or 888-369-0855 or contact the firm by email to arrange an initial free confidential and informative consultation with experienced Fort Collins probation violation attorneys. Roselle & Breitigam, P.C., represents individuals facing a violation of probation in Fort Collins and Northern Colorado communities throughout Larimer County and Weld County, including Greeley, Windsor and Loveland as well as clients in Routt County/Steamboat Springs.